An open letter about my journey of launching two companies within WeWork. As many entrepreneurs know, the journey of launching your life's passion can be a challenge. 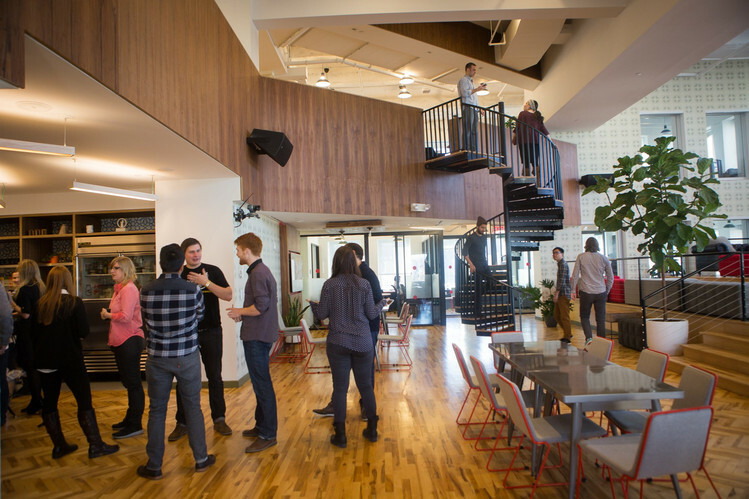 As a former commercial real estate broker, I've had my share of coworking experiences. Nearly 3 years ago, I made a career networking within coworking spaces and represented coworking spaces in launching offices in NYC and Brooklyn. While I appreciated the coworking ethos and understood the business principles, I only finally understood it's macro impact once I decided to launch RE:Tech. While coworking is a real estate play, as an entrepreneur, coworking is so much more than real estate and renting a desk. To date, I've launched two companies within WeWork, RE:Tech and Falkon. The connections, skills, and community were some of the most invaluable traits. Ultimately, the coworking environment is definitely a win for many entrepreneurs and myself. Why WeWork was beneficial to my personal & business growth. Where can you go to instantly meet and connect with designers, business professionals, and developers all in one place? Coworking is better than any networking event I've ever attended. Meeting brilliant entrepreneurs who can help you strategize without any hidden agenda is invaluable. Vision, values, goals, these are some of the attributes of a community. The sharing of commonalities is a rare and hard thing to find, especially in markets like New York City. The "we're all in it together" undertone of my coworking experience has helped me launch RE:Tech in NYC and SF while exploring other markets like Boston and Chicago. When we first launched Falkon, our entire Made In New York team was assembled at WeWork Fulton Center. I had the luxury of surrounding myself with brilliant minds and future and current leaders of industries. I would be remised by not saying that not all coworking spaces are created equally. You should find a community that shares in your energy and ethos. Each space is unique, full of different types of people, different services, different vibes and their own special stories to tell. Finding talent can be challenging, especially in cities like NYC. Since taking space at WeWork, finding a great variety of writers, designers, developers, businessmen/women and others has been easier to network with. One of the more interesting experiences I witnessed was when I saw a Fortune 500 company Trade Skills with an early stage startup. While in the lounge, they sat down and taught each other their unique skills to better enhance each other.